Alfred is the most complete solution in today’s market that simplifies the management of your wine cellar. It enables you to follow the different flows of your wine cellar while providing you with a complete profile of your assets. 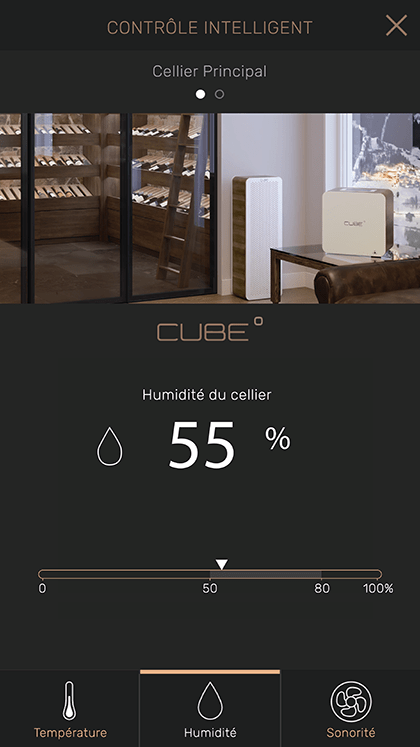 Perfectly integrated to the Cube˚ technology, this application gives you real-time information regarding your wine collection’s aging conditions. Furthermore, Alfred provides expertise that is tailored to the unique requirements of wine collectors with its Diamond range of services. Enjoy every bottle at its optimal tasting period. Receive statistics on all the activities inside the wine cellar. Protect it against potential water damage. See the market value of your collection. Monitor the temperature, humidity and sonority of your wine cellar. Provides a complete profile for your insurance company, a profile that evolves through time. 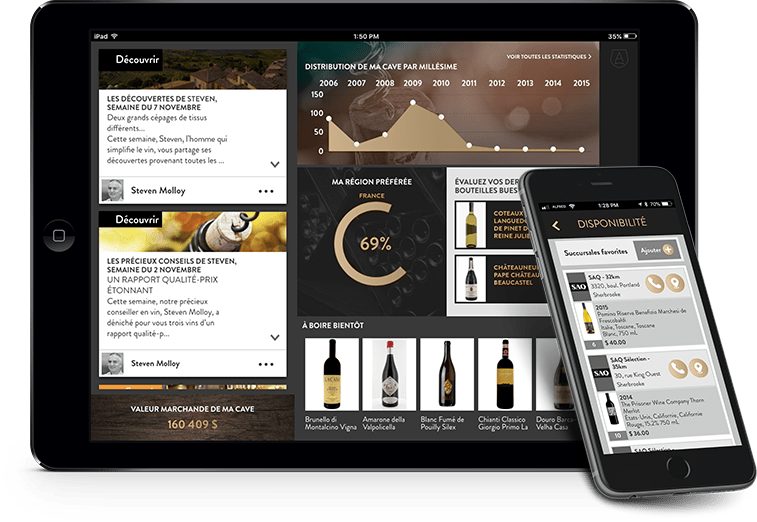 Receive a complete profile of your wine cellar in real time. Alfred: Created with the collector in mind. A well-structured wine cellar while knowing its real time value: probably very high on every owner’s wish list. Thanks to Alfred, all this is now possible. With its highly sophisticated application tailored to the unique requirements of wine collectors, Alfred has positioned itself as the leader in today’s market. 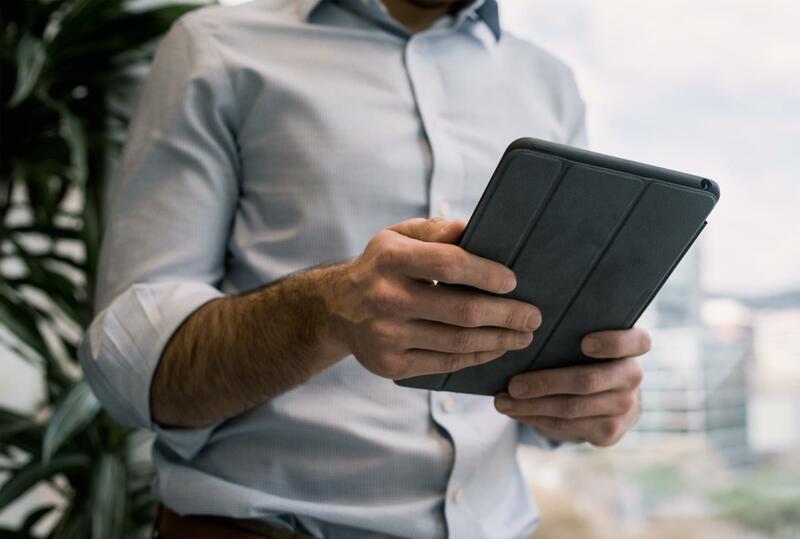 With Alfred’s unique and efficient algorithm, its unique application will provide you with the most information on your collection. Alfred provides you with a full range of options, enabling you to manage your wine cellar directly from your smart phone. A powerful algorithm directly linked to the Cube. 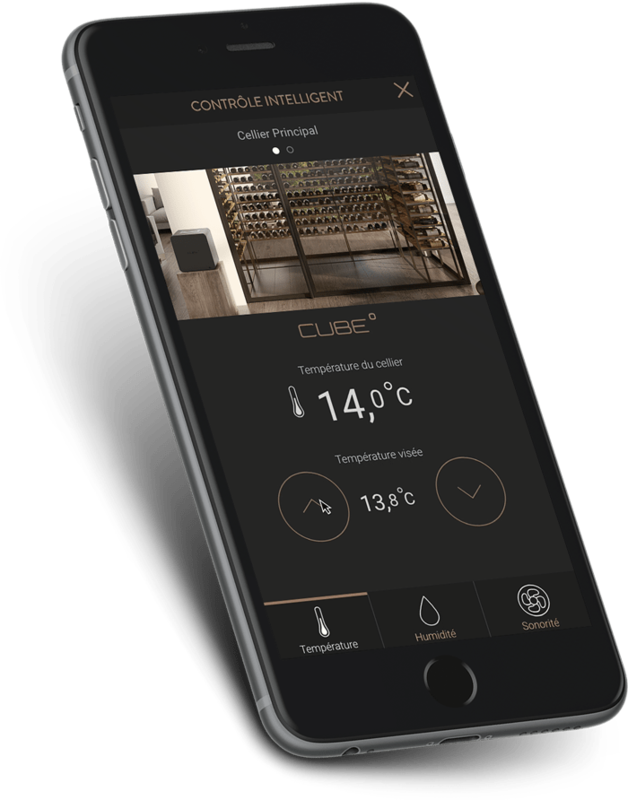 Reproduce the conditions of a natural cellar in your own wine cellar and witness its evolution in real time, the technology is now accessible. Whether your collection is in a condo, a natural cellar or a more contemporary cellar, Alfred linked to the Cube allows you to follow its evolution at all times. Alfred will notify you when there is a change in temperature, humidity or stability. You have in your hands something precious that deserves the best management. For the collector who wants more. Rediscover your collection differently. This is what Alfred Pro’s “personalized wine list” feature offers. Thanks to a judiciously constituted application, you can obtain a classification of your wines by country, by type of products, by vintage, by format or by grape variety. Managing your collection requires advanced expertise and skill. At Alfred, we understand that. That’s why we have developed a range of Diamond services to meet your needs.